Chrome OS 72 is rolling out and it is chock full up updates, feature additions and enhancements and even a hidden preview of things to come. A lot of the update includes features such as Picture in Picture, optimization for tablet mode and Android app fine-tuning but there’s a lot that we are hoping to pick apart over the weekend. We expect there will be quite a bit of behind the scenes stuff involving Linux apps, file storage, USB access just to name a few but we will have to do some in-house tinkering to get the ins-and-outs as they are not listed in the official release notes. 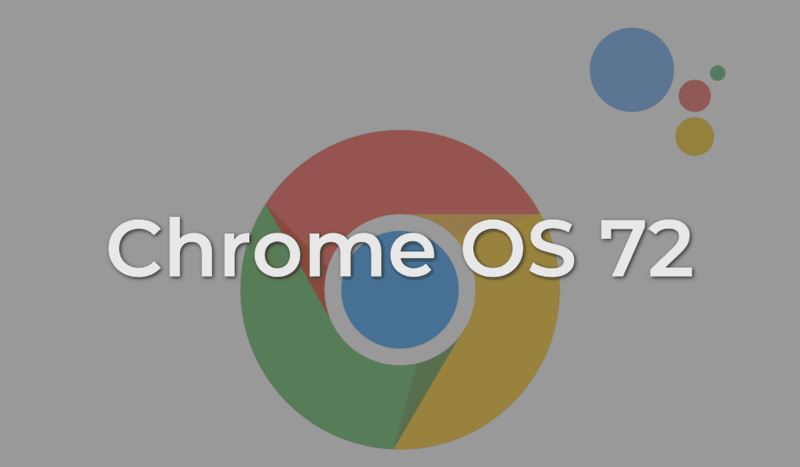 So, let’s take a look at what’s new in Chrome OS 72. In addition to these new features, Chrome OS now runs Shill (the network manager for Chrome OS) in a sandbox. This is to assist in protecting against network-related security vulnerabilities. There is a lot of stuff to digest in the latest up to Chrome OS and we’ll be bringing you more in-depth coverage of them over the next few days. Now, on to the less official stuff. We received an email from a reader who said his device had just updated to Stable 72 and with it came the flag that enables the Google Assistant. Unfortunately, very few Chromebooks are actually getting 72 at the moment and out of the vast number of devices we have around the office, none of them are updating, yet. We can confirm that most devices in Chrome OS 72 Beta do have the Assistant flag and that enabling it will bring Google’s handy helper to life on your Chromebook. Once enabled, you should find the Assistant in your settings page. You can now invoke the Assistant by hitting Search+A on your keyboard or saying the OK, Google hotword.